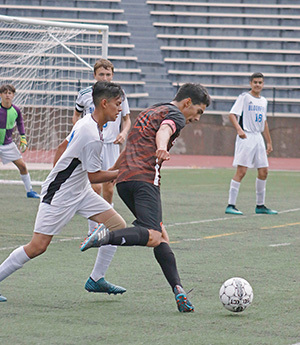 Beneath a cloudy sky and falling rain, the Gallup High School boys’ soccer team fought against the Bloomfield High School Bobcats during a district game Oct. 2 at the Public School Stadium in Gallup. Both teams sponged the field with their cleats to try and score in the first half. A few shots were close and some were blocked. A few yellow cards were drawn, but the game continued on. Despite the rain, which can mean slippery turf fields and soccer balls, both teams managed to control the pace of the game. The GHS Bengals had a few opportunities to put a number on the board. 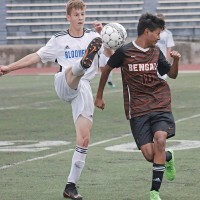 With 7:39 on the clock in the first half, Bengals senior and captain Daniel Olivas received an assist from a corner kick and headed the ball toward the goal but came up short. Both ends were scoreless in the first half. The rain continued to fall on both teams, soaking their jerseys and sponging the field. In the second half, the clock counted down, and both teams’ victories were on the line to determine who would score and when. 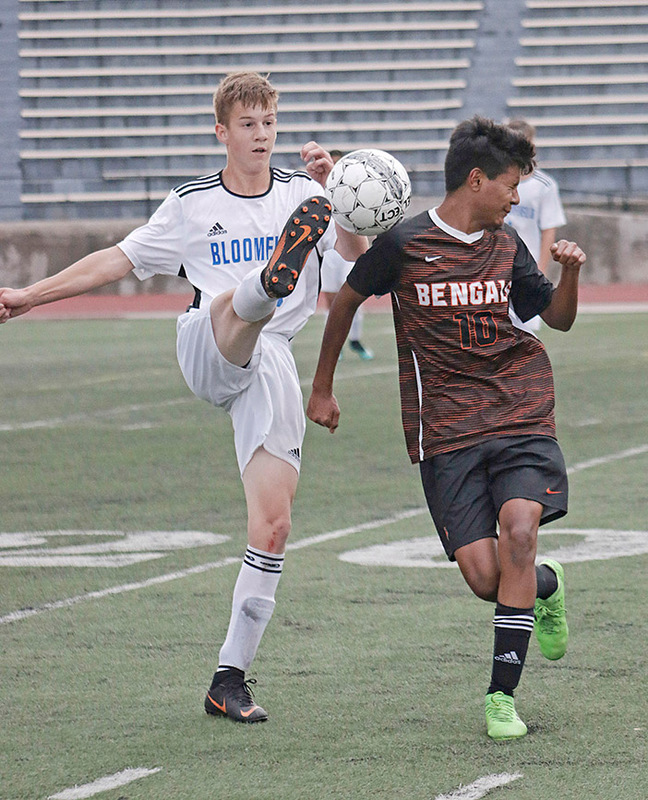 At 12:15, a Bloomfield player scored outside of the 18-yard box to put the Bobcats on the board, 1-0. The Bengals shifted their gears by making contact with and controlling the ball by head, shoulders, chest and cleats. Gallup senior and captain Justin Martinez (4) was a force of speed, dribbling and passing. 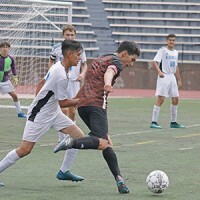 As the game closed out, Martinez dribbled the ball along the sideline from the other end of the field and assisted his teammate, senior Joel Rivera (3) who headed the ball directly to the goal, but was a little too high. Despite the score, the Bengals made every minute count in the second half. Gallup matched up against the Aztec High School Tigers at Aztec Oct. 4.